I have to admit that I don’t read many Young Adult books although looking at some of those mentioned in this post, maybe I read more than I think. So I’m pleased to welcome Karen King today who is talking about why she loves Young Adult fiction and tells us a bit about her own young adult novels. You’ll find lots more information about Karen at the end of the post along with social media and buying links. I love YA books. For those of you not familiar with the term, YA stands for Young Adult. These books are roughly aimed at 12-17 year olds, although many adults read them so they are often called ‘crossover’ books. Over the past decade or so YA has been increasingly popular, and I’m not surprised as they tackle some very gritty issues but in a more easily digestible way than some adult books. I love the fact that they are emotionally-charged, and the characters are so up front, ready to challenge the world and to fight for what they believe in. YA books have emotional truth, energy, realism, characters facing tough challenges and hope – some of the more popular books tackle tough subjects such as cancer (The Fault in Our Stars by John Green) and suicide (I Was Here by Gayle Foreman) while others are set in cruel dystopian worlds (The Hunger Games by Suzanne Collins). There are, of course, lighter reads, romances about the pain and joy of first love, or the trials and tribulations of family life. Teenagers feel strongly about things, they fall in love madly, they believe they can save the world and really, really want to fight injustice. They’re a great audience to write for. 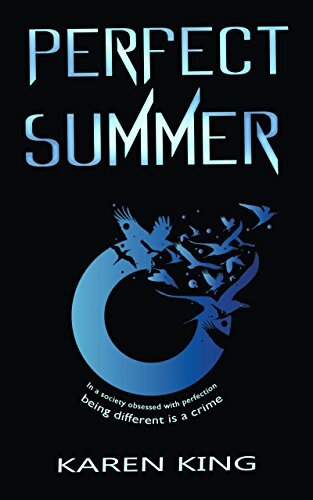 Perfect Summer was my first YA book. I got the idea for this story when I read an article about girls as young as four and five being worried that they were too fat or too ugly. That’s really sad. I started to think how far this obsession with perfection would go, would it get so bad that people who didn’t have perfect looks would be shunned from society? And how would people with disabilities be treated? Gradually a story idea formed, a teenager called Morgan living in the shadow of her ‘perfect’ friend Summer who is rich and beautiful whereas Morgan is average and has a little brother Josh who has Down’s Syndrome, so she and her family get a lot of grief from a society that is now so obsessed with perfection that being different is a crime. Then Josh goes missing. I was lucky enough to receive an Arts Council Grant to write this book, which was runner-up in the Red Telephone Book YA Novel competition in 2011 and first published by Astraea Press USA (now Clean Reads). I’ve revised it since and Accent Press republished the new, grittier version in May this year. Sapphire Blue is a totally different story. My tag line is ‘can you read it without crying’ because so many people had told me that they cried when they got to the end of it. It’s set in the afterlife and is based on the concept of true love being eternal. 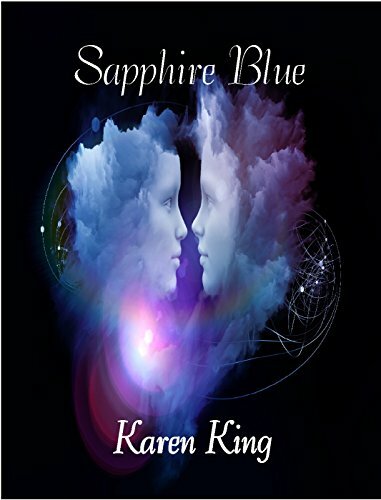 Sapphire and her boyfriend Will are killed in the first chapter but love each other so much they search for each other in the afterlife. They find that the after-world is split into seven zones, each named after the colour of the rainbow. They each believe the other one to have been taken by the Soul Catchers to Red, a zone where all your nightmares come true. They love each other so much that they go to Red to find each other. I don’t want to give away too much of the plot but it’s a mix of romance and horror – the first time I’ve ever written horror, actually. An Ind’tale reviewer called it ‘The best YA book out there right now’ which was really lovely of them. I’m now working on my third YA novel, which again tackles some gritty issues – but as with my other two YA books there is love, courage and hope. Karen King is a multi-published author of children’s books and romantic fiction. She has had 120 children’s books published, four romantic novels and several short stories for women’s magazines. Her first YA novel, Perfect Summer was runner up in the Red Telephone Books YA Novel 2011 competition. Her second YA, Sapphire Blue, was declared ‘The best YA book out there right now’ by an Ind’Tales magazine reviewer. Her latest romance novels with Accent Press are The Cornish Hotel by the Sea and I do?… or do I? In addition, Karen has written several short stories for women’s magazine and worked for many years on children’s magazines such as Thomas the Tank Engine and Winnie the Pooh as well as the iconic Jackie magazine. In a society obsessed with perfection being different is a crime. Love this! I’m a huge YA fan (reading and writing it!) for all the same reasons as Karen mentioned. Sapphire Blue sounds like a magical read – added to my TBR pile. Check out this guest post by author Karen King on the Portobello Book Blog. Her topic his her love for YA.